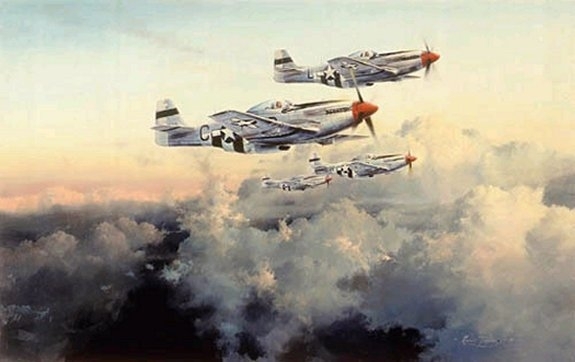 In 1944 P-51 Mustangs of the Fourth Fighter Group patrolling ahead of 8th Air Force bombers, climb to intercept incoming Luftwaffe fighters. Published in 1987. Comes with Certificate of Authenticity.